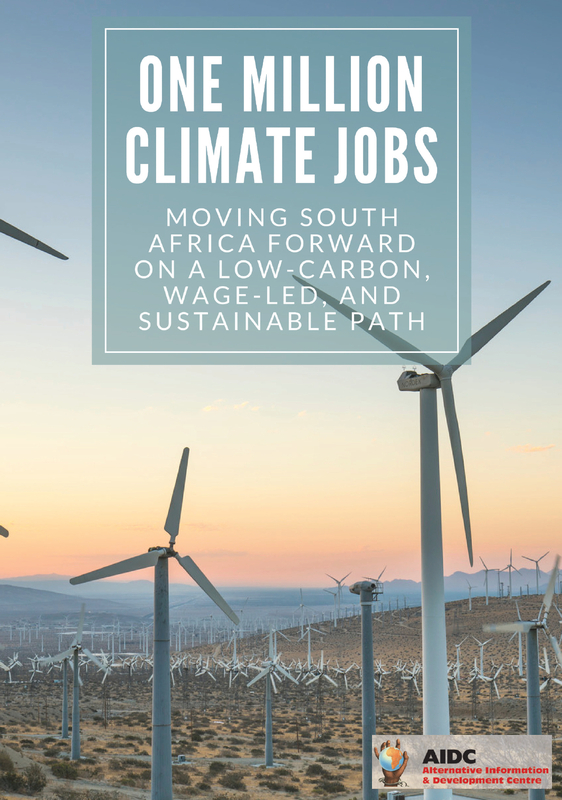 Home › One Million Climate Jobs › Mineral Energy Complex › Restoring ESKOM – what’s making it ill? 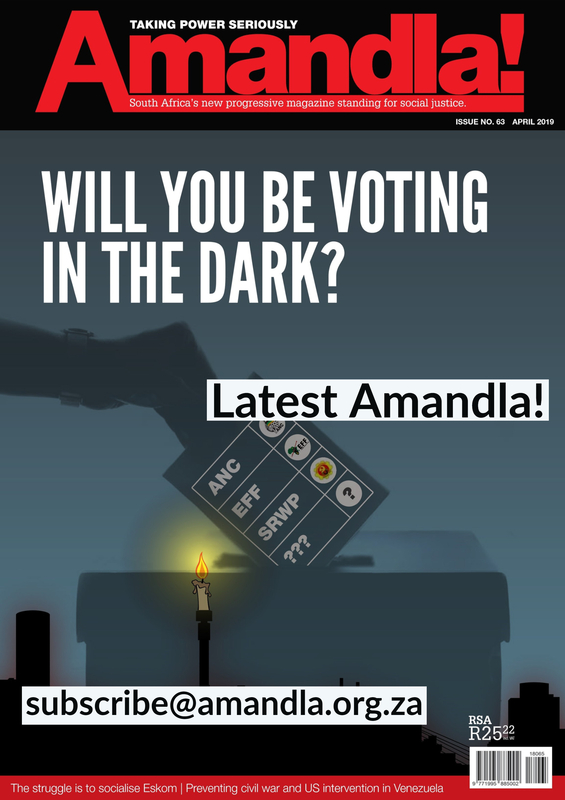 Restoring ESKOM – what’s making it ill? Mention the word ‘Eskom’ and the standard response, once the eye-rolling and hair pulling is over, is the near-unanimous cries of ‘Restructure the monopoly! Break it up! Involve the private sector!’ After all, who could argue that Eskom is not a huge carbuncle inside an increasingly dysfunction state? By the same token, however, who could argue that the private sector has not failed. Just consider the three scourges everyone agrees are destroying South Africa: poverty, unemployment and inequality. And, lest anyone should think that these blights are uniquely South African, it is sobering to reflect that uniqueness would rather lie in a contemporary capitalist country not suffering these ills, in one way or other. So, is there no way out? Is Eskom beyond hope? Alternatively, if something can be done, what might that be? I don’t have a simple answer. What I do offer is an analytical approach that avoids asking the wrong questions. A narrow focus on restructuring Eskom is, for me, fundamentally mistaken. Such a focus, as a first response, runs the risk of reproducing those very ills, albeit in different forms. People with many years work behind them are likely to have had previous experience of restructuring as a panacea to complex problems. I was a social worker for 20 years in London. I lost count of the number of restructurings that took place. No matter what we did, the quality of the service got worse, along with a growing work dissatisfaction and rapid staff turnover. The answer my colleagues could not, or would not, accept was the possibility of social work being inherently incapable of being an effective antidote to the personal, social and economic ills, automatically and unavoidably produced by an economic system that, crucially, could, itself, be changed. An unacceptable answer guaranteed that the question was never asked. Instead, repetitive restructurings – inside a repetitively restructured municipality – were the constants of those 20 years. More than 20 years later, there is again the need to be sufficiently daring to ask the right questions. The first of these questions, in my view, requires a much closer look at nationalisation. 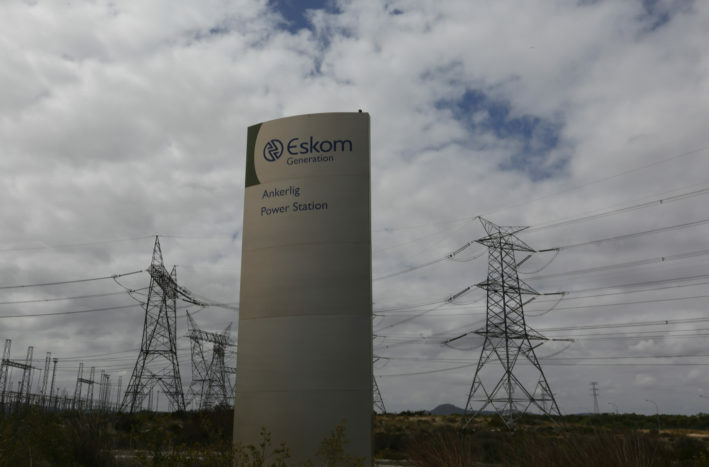 Most of the plethora of schemes for restructuring Eskom begin with the premise of state ownership – nationalisation – being the starting point of Eskom’s disorders. Yet, State Owned Enterprises (SOEs) – the respectable term because nationalisation is too closely associated with communism and socialism – are entrenched and successful in most countries worldwide. Indeed, some of the world’s largest and most influential companies are Chinese SOEs. Singapore, an economic success story, embraces SOEs: almost all the land is state owned; 85% of housing is supplied by a state-owned housing agency and 22% of its GDP is produced by SOEs (the international average being about 10%; South Africa’s is about 15%). Moreover, many cities around the world are re-municipalising (insourcing) previously privatised (outsourced) services such as water. Indeed, municipal insourcing is most pronounced in the self-proclaimed home of private enterprise, the US. No less telling, is that until the blackouts of 2008, Eskom, far from being ill, was rudely robust, producing amongst the cheapest electricity in the world. By State mandate, Eskom’s priority was to provide cheap electricity to industry, above all to the energy-intensive mines. This was indeed the reason for Eskom’s formation, when the then-privately owned monopoly was nationalised, in 1948. Nationalised, let it be noted, by a virulently anti-communist government. By nationalising Eskom in the public interest, the right-wing South African government was doing nothing unusual, in terms of global practice. Forgotten, is that many nationalised industries and services began as private enterprises that were subsequently nationalised. They were either too small, insufficiently capitalised or too destructively competitive to meet either the needs of the economy or society as a whole. Britain, for instance, nationalised water in the 19th century, in the interest of public health, when the link between cholera and unsafe water was established and the rich, who could afford to buy water, were nonetheless falling ill. This broader societal perspective brings us to a particular confusion: the idea that nationalisation is part of a ‘mixed economy’; an economy of two disparate realms, the public and private, which somehow co-exist despite their inherent differences. Nationalised industries or enterprises supposedly stand in opposition to a ‘pure’ capitalism based on private ownership and the imperative of profit maximisation; hence the idea of the ‘mixed’ economy. Conflict between the public and private is real from the perspective of individual capitalists; the public sector does restrict or complicate individual profit maximising in many ways. However, governments of necessity need to give priority to the interests of the collective capitalists and the society shaped around those interests. For governments acting in this broader economic and social context, acting, that is, in what is called the public interest, there is only one economy: a capitalist economy, which needs state support in many ways and for a multiple of reasons. Nationalisation plays this essential supporting role, a role that, by design, compliments capitalism and its social structures rather than challenging them in any substantive or sustained manner. For the time being, the public sector’s complementary role to capital is most dramatically illustrated when the state intervenes to save capitalism by nationalising some of its failed industries, banks or corporations. Just recall what happened in the US, the EU and elsewhere during the still current Great Recession that began in 2008. This further highlights that SOEs can be as successful as any private company and often outperform them. When this happens – and because their role is supportive of capitalism as a whole – they become ripe for privatisation. Just think of Sasol; or of Iscor, which is now part of the world’s largest steel company. The conclusion from all this is that it’s highly unlikely for Eskom’s woes to have much, if anything, to do with its formal status as a nationalised SOE. What needs emphasising about each of these ten factors is that they are guaranteed to reproduce themselves in a resurrected Eskom, regardless of the restructured form it might take, unless adequately addressed beforehand. Being baked into the mix of South Africa’s political-economy, there is no running away from either their existence or their unavoidable consequences. An unavoidably brief elaboration of each of these often over-lapping 10 points follows. It begins with a clarification that needs to be as explicit as it is unambiguous. The class analysis that follows sometimes might appear to take a ‘racial’ form. This is entirely a consequence of our geography and history and has absolutely nothing to do with so-called ‘race’. Let me affirm at once that ‘race’ is a scientific nonsense. Full stop. Despite possible appearances, colour and culture are entirely coincidental to the class analysis I offer. This is highlighted by the global nature of many of the features I shall be addressing. The new democratic South Africa of 1994 had one major feature in common with the old South Africa of 1948, 1948 being when the party that invented the word ‘apartheid’ came to power: A new ruling class came into being, in both instances. In both instances, an ethnic-based party exercised political power but without the commensurate economic power, which was held by others with whom it co-ruled. In 1948, the National Party, the party of Afrikaner nationalism, openly used its political power to force the then established economically privileged – the white English – to share some of their wealth, be it in the form of capital or engineered access to jobs, including senior management. The ANC has been doing the same since 1994. By 1994, however, the National Party had been so successful in using its political power to gain access to capital that the old economic divisions between English and Afrikaners had (virtually) disappeared. Thus, when the ANC committed itself to the creation of what Thabo Mbeki called the ‘black bourgeoisie’, the economically privileged were uniformly so-called White. A universal feature of the rich is their reluctance to part with what they see as ‘their’ money. Their worldwide and timeless reluctance even to pay tax points to their considerably greater resistance when it comes to giving away their actual capital and control of their companies. Therein lies the major challenge of the political elite, as the co-rulers in contemporary South Africa: How to create capitalists without capital? My answers to this question framework everything that follows. A large and growing number of laws and regulations cover the forced transfer of wealth from the old ruling class to the new co-rulers. The colour of capital becomes relevant here only when – and to the extent that – it has specific additional costs, in both capital and efficiency. A former Minister of Public Works was unusually blunt when acknowledging that “contracts are given to people who don’t have a clue what they are supposed to do”. The costs of such tenderpreurship and other consequences of BEE are outlined in many of the overlapping points below. Indicative of what is to come is that it is now fairly standard to describe Thabo Mbeki’s ‘black bourgeoisie’, as a parasitic bourgeoisie. Corruption is the illegal side of BEE: both are forms of what Marx, in the mid-19th century and with reference to Europe, called ‘primitive accumulation’, that is, the way in which the world’s original capitalists captured their capital. British capitalists, the first in the world, got theirs via slavery. The US capitalists stole theirs by means that earned them the title of ‘Robber Barons’. The ‘oligarchs’ of today’s Russia got theirs by the naked plundering of the Soviet Union’s State-owned enterprises. This international dimension needs emphasising lest we think corruption is a peculiarly South African – to say nothing of black – phenomenon. For the same reasons, it is important to draw attention to the organic connection between modern capitalism and corruption. Large scale producers of goods and services all offer more or less the same products at more or less the same price. They then spend a vast fortune on what is called ‘product differentiation’; advertising calculated to make us believe that one soap power washes whiter than the next; or that Car A is better than competitor’s Car B, with both offering – and costing – more or less the same. Another easier and cheaper way is simply to bribe the buyer. The inducements are many and the forms they take – including the concealments – are humongous. When the corruption is nonetheless regularly exposed, the response is shocked moral outrage. Until the next time, and the next time, and so on. Greed is often blamed but is either dismissed as a non-African ‘foreign culture’ as Baleka Mbete of all people did the other day or, much more generally, quickly (mis-)assigned to ‘human nature’ about which, fortunately for capitalism, no one can do anything about. Except in South Africa. Here, it is uniquely seen as a black disorder or, from within the black bourgeoisie themselves, as either something everyone does to get rich or, by some of the already rich, as an embarrassing practice that needs to stop. Be this as it may, there is no gainsaying about corruption being endemic. Starting off with little or no capital, Mbeki’s black bourgeoisie turned to the only source of capital – and, what is more, in unimaginable abundance – to which their political power gives them easy access: the State, including, critically, the SOEs, with Eskom being a favourite ATM. State procurement, alone, stands at R550 billion a year. The scandals involving all the major SOEs are well known. Similarly, well known are the billions of rands that have been misappropriated. The important BEE dimension to this scandal, whereby the politically powerful or connected use their power not only to be the BEE beneficiary but to extract additional benefits is, likewise, all too familiar. There is no need, therefore, to say anything more about these matters. Another form of primitive accumulation, in a South Africa marked by mass unemployment, is for the aspirant black bourgeoisie to use their political connections. A joke has it that no one has ever been appointed to a good position as a result of having responded to a job advert. The outcome is the large-scale appointment of people to positions for which they are unsuitable, in terms of both qualifications and experience. These questionable appointments are also known as ‘cadre deployees’ amongst other terms, with SOEs being ideally placed to make these patronage placements. However described, they are a major problem and are increasingly been seen as such. Even South Africa’s own Public Investment Commission, with its R1.8 trillion in assets, has informed Parliament of its hesitancy about continuing to investment in SOEs because they are so poorly managed. The falsification of qualifications needs to be seen in this light. And, yes, your memory is right if you recall that the Head of Prasa’s Engineering Services claimed a fake PhD. The fraud allowed him to approve the Spanish-made locomotives that were unsuitable for South Africa’s rail infrastructure. His negligence cost Prasa a cool R4 billion, to which must be added a further R20 billion of what the Transport Minister describes as ‘mishappenings’. Prasa’s former Head of Procurement similarly falsified his PhD. The Employment Equity Act’s occupation-by-race requirements greatly facilitate these inappropriate – and hugely costly – appointments. This means tempering outrage at the over-representivity of so-called Whites. Before proceeding to the next point, a reminder: Unless cognisance is made of these various problems, Eskom will be fated to reproduce them, regardless of how it is restructured. Besides being best placed to make largescale appointments – at the same time that Eskom’s sales fell, its employment increased from 35,000 to 47,000 from 2008 to 2014 – SOEs are also ideally placed to give their senior managers extravagant pay and perks. Eskom’s directors and group executives, for instance, enjoyed a 50% increase in their 2015 pay compared to the previous year; from R50 million to R75 million. Whether or not a municipality is dysfunctional, its Manager receives a salary package of more than R3 million a year. Expensive consultants add enormously to management costs. Consultants, on a largescale, continue to be employed by the state and SOEs to do the same work for which senior managers continue to receive lucrative pay. Eskom spent R259 million on consultants in 10 months in 2014. The problem has long been recognised by various Ministers and Auditor Generals but, despite repeated commitments to do something, two expensive people are still being employed to do the work of one person. Ninety-two percent of municipalities, for instance, are still using consultants for financial reporting, the cost of which more than tripled from R267 million five years ago, to R892 million in 2014-15. Committing crimes without consequences, even when caught, is so widespread and deeply entrenched in South Africa that it has become part of our contemporary culture. President Zuma leads by example, when it comes to corruption. Not even the most damning verdict on him by the Constitutional Court has had any of the normally expected consequences. Parliament, similarly censured by the Constitutional Court for its protection of Zuma, failed to initiate any impeachment proceedings. The absence of contrition by and survival of the Minister of Mineral Resources, despite the recent alarm caused by his stupefying stupidity – which earned him formal rebukes by the Presidency, the ANC and Cosatu – points to the level of unaccountability of the politically connected. Profit does not drive capitalism, as is commonly thought; profit maximisation does. For now, the importance of the imperative to maximise profit lies in there being no exclusions or exceptions. Ultimately, the only morality recognised is the virtue, in and of itself, of maximising the bottom line. The worldwide trillions of dollars that are lost each year because of tax evasion and avoidance, along with misinvoicing and all the other stratagems that make up illicit financial flows. In 2014, developing countries alone lost $638 billion in profits shifted to tax havens. The world’s richest corporation, Apple, paid tax at just 0.005%, in 2014. South African companies fixed the price of bread and milk – staples for the poor majority of the population – in order to increase their already handsome profits. And, of course, we face not only climate change but resistance to tackle it by the very profit-maximising corporations principally responsible for causing the global warming all countries warn against. The world’s giant Trans National Corporations continually get larger – and fewer in number. This uncontentious fact alone affirms that monopoly is capitalism’s natural state. The importance of this is that prices reflect the dominance of the price-makers, rather than the price-takers of the small companies of a by-gone age. Collusive – and therefore illegal – price fixing is also a constant, notwithstanding the anti-monopoly legislation that exists in most countries, including South Africa. Privatisation of any bits of Eskom is most unlikely to escape this logic of modern capitalism. The privatisations of water, gas and the railways in Britain stand as neon lit warnings. Globally, neoliberalism is steroids given to an unrestrained capitalism; a capitalism free of the shackles of both an external challenge by the Soviet Union and China and an internal challenge by any meaningful socialist party or militant trade unions. As a consequence, market values, principles and practices permeate all aspects of life to a degree unthinkable by the capitalism of even 50 years ago. In a word, neoliberalism reflects and reinforces the ethos and ethics of – privatisation. When it comes to meeting basic human needs, neoliberalism means relegating the provision of essential services to the lowest possible division. Citizens with rights are replaced by customers, whose humanity is recognised proportional to their ability to pay. Need is banished from the market place. Enterprise efficiency, productivity, performance, targets are all effectively stripped bare of any trace of human or social content. Ultimately, they are measured solely in monetary terms. The public services they are supposed to provide undergo a commodification metamorphosis that leaves them as stand-alone businesses that, like all such companies, must not only be financially self-sufficient but be measured by their ability to produce profit. These aspects of neoliberalism manifest themselves in different ways in different countries due to all the specificities of history and geography. Promote a comprehensive programme of energy efficiency, whereby the greater your success the greater your revenue shortfall, but never forget that any shortfall is a measure of your failure. The panic of being downgraded by credit rating agencies and the now current alarm caused by investment companies’ disapproval of the governance of several SOEs underscores what is absolutely guaranteed to happen on a considerably larger scale should our democratically elected government dare to ditch the neoliberal dominance. My diagnosis is now complete. This leaves the difficult part awaiting attention: What happens next? What are the practical ways in which to implement the diagnosis? Can Eskom wait for the long-term treatment prescribed? If not, where does the restoration begin? The questions are many and are all are straightforward; it’s the answers that tax. Ha-Joon Chang (2014:49), Economics: The User’s Guide. London: Penguin Books.